For the second time in as many days, a report from Asia claims that Apple plans to bring the "Force Touch" technology from the Apple Watch to the next-generation iPhone and double the forthcoming handset's built-in RAM to 2 gigabytes. In addition to the extra gigabyte of RAM, Apple will likely move to new LPDDR4 chips, according to TechNews Taiwan. LPDDR4 is rated for twice the bandwidth of LPDDR3— found in the iPhone 6 series— while keeping power consumption the same. Samsung, Hynix, and Micron-Elpida are expected to split the RAM orders for the so-called "iPhone 6S." Apple calls Force Touch its "most significant new sensing capability since Multi‑Touch," lending some amount of credence to the idea that it could expand beyond the Apple Watch. Such a move would also require a corresponding switch to a flexible display material, however— electrodes surrounding the Apple Watch's OLED display detect the level of deformation caused by the user's press, a measurement not possible with rigid displays. 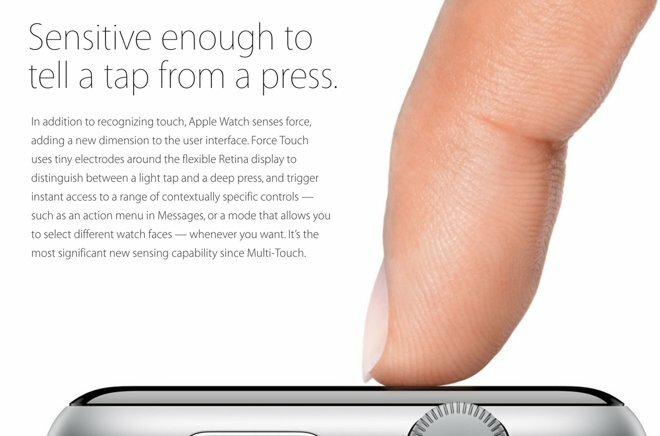 It also remains unclear exactly how Apple would make use of Force Touch if it does makes its way to the iPhone. A report from earlier this week suggested that Apple may employ it to enable more accurate sensing of users' pulse and blood pressure, though that seems unlikely.